The future of the Kings? Robots! 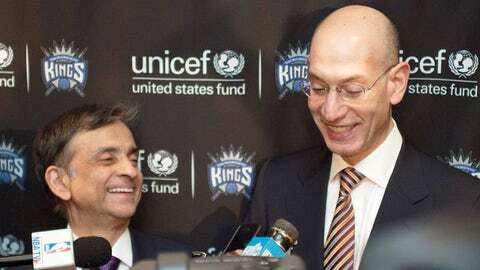 The Sacramento Kings can't be accused of relying on old traditional approaches. They crowd-sourced opinions on their draft pick one year. They've hired a former player with no front office experience, Vlade Divac, as general manager. And they went through three coaches last season. First, the robots came for our security jobs, and we said nothing. But if they try to take the court, we're going to have to speak up. The Knightscope K5 is an autonomous robot that provides a commanding but friendly physical security presence. The K5 gathers important real-time, on-site data through its numerous sensors, which is then processed through apredictive analytics engine. There it is combined with existing business, government and crowdsourced social data sets to determine if there is a concern or threat in the area. If so, an issue is created with an appropriate alert level and a notification is sent to the community and authorities through the Knightscope Security Operations Center (KSOC), a browser based user interface.